Geotechnical (Soil) Engineers, Civil Engineers and Geologists. 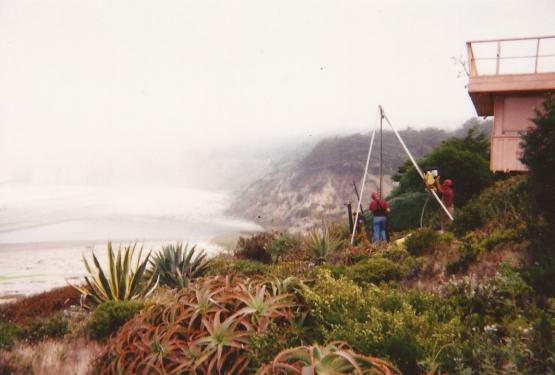 We specialize in "Minuteman" hard access geotechnical and environmental exploration. We can drill where a truck rig can not. If you can walk there, chances are that we can drill there. Sampling: 140 lb drop hammer (Tripod) or 70 lb hand sampling hammer. Depending on the soil conditions, we can drill to a depth of 35 feet. We can take most standard size samples and can supply liners upon request. Established in 1985, we have completed over 10,800 jobs and never had one complaint filed with the Better Business Bureau. We would be happy to provide you consultation and a free estimate. © 2019 Access Soil Drilling Inc. All rights reserved.